Senior Choir meets every Wednesday night during the school year at 7:00 pm for rehearsal and sings at worship once a month. The choir is directed by Emily Berg. A desire to create a joyful noise is the only requirement! Bell Choir meets every Wednesday night during the school year at 5:55 pm for rehearsal and performs at worship once a month. The bell choir is directed by Emily Berg. You do need to read music to participate in the bell choir. Worship band helps lead worship the second Sunday of every month. Musicians and singers are always welcome to join the group to help lead the congregation in singing more alternative songs. 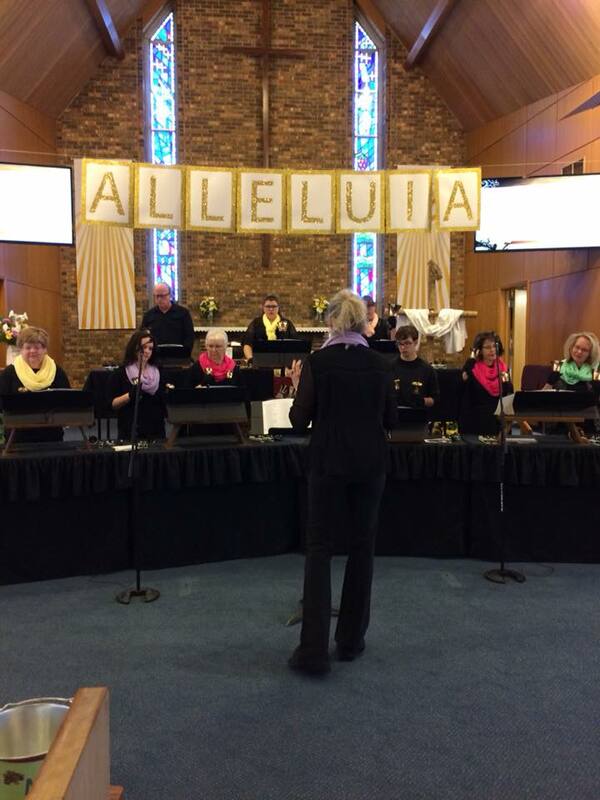 At worship, Gloria Dei uses the Evangelical Lutheran Book of Worship, With One Voice, many alternative songs, along with Now the Feast and Celebration, Chicago Folk Service and during Lent, the Holden Evening Prayer service.